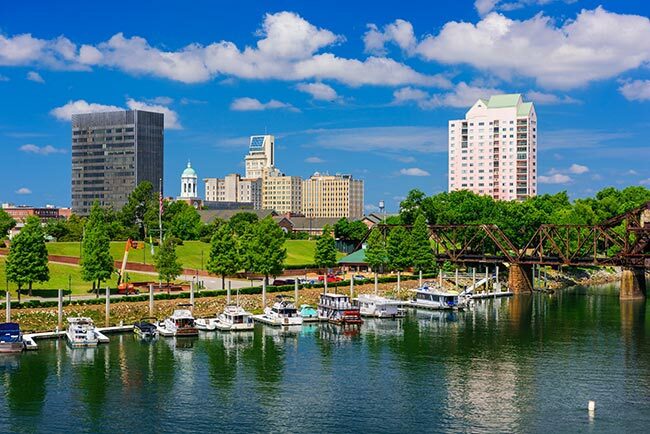 Augusta’s town motto is “We Feel Good,” and given how vibrant the local economy is, it’s not hard to see why. The Garden City is one of Georgia’s most important industrial centers, with automotive, paper, food, and ceramic manufacturers setting up shop here. Hot Shot Trucking offers the logistics services that these companies need to produce and distribute their wares. With our help, Augusta’s many industries can produce at full capacity, providing an economic engine for all of eastern Georgia. While logistics is critical in any industry, it is particularly important in manufacturing given the need for quality parts to arrive on tight schedules. Augusta’s automotive manufacturers, for example, need to obtain engines, wires, pipes, and other critical equipment in pristine condition; even minor damage to any one of these components can ruin the cars they go into. Likewise, food processing companies rely on edible inputs, which are highly perishable; if these supplies do not arrive on time, many cannot be used at all. As a center for these and many other manufacturers, Augusta depends on hot shot delivery services to keep its economy booming. Even a minor freight problem has the potential to sink the entire city. 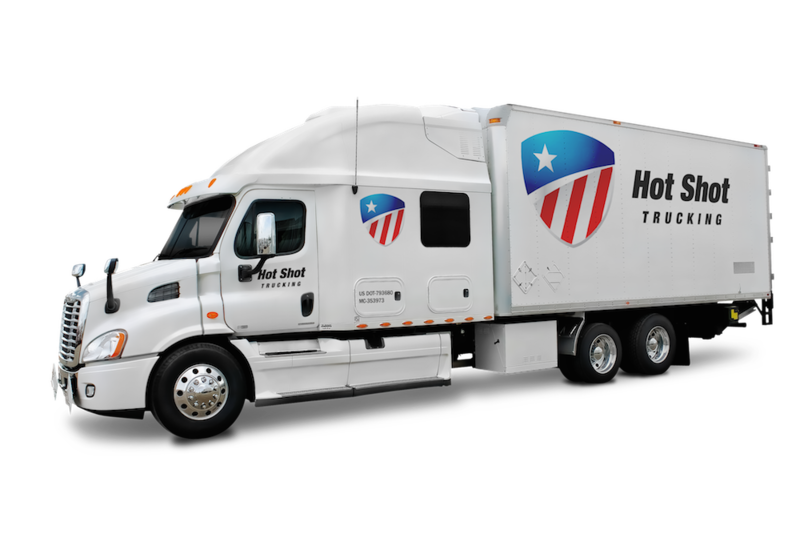 Hot Shot Trucking has extensive experience providing logistics in difficult circumstances, and knows how to keep freight problems to a minimum. 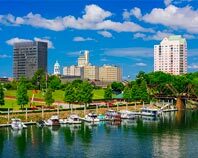 We serve Augusta proper along with its neighboring communities of Athens, Charleston, Columbia, Greenville, Savannah, Spartanburg, and Macon. By providing businesses in these communities with swift, safe hot shot service, we keep Georgia’s industrial engine running smoothly throughout the year. In order to ensure quick, quality shipping into and out of the Augusta area, Hot Shot Trucking invests in responsible drivers. Each member of our team has the training and experience to stay on schedule while doing their job safely. For distant journeys, we assign these drivers in teams of two, so that they can stay on their route day and night without becoming too tired. 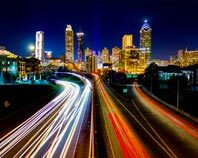 Besides drivers, Hot Shot Trucking has invested in a vast coverage network, with vehicles and personnel in major cities across the US and Canada. This allows Augusta manufacturers and other businesses to ship in supplies from all over the continent. No matter where you’re shipping form, we will have a truck nearby that can load up your order in a matter of hours and head straight for the Garden City. Hot Shot Trucking uses quality tracking devices to keep an eye on our trucks throughout their journeys. This means that if we ever encounter a delay, we can guide the truck around it, minimizing the time you have to wait for your order to arrive. 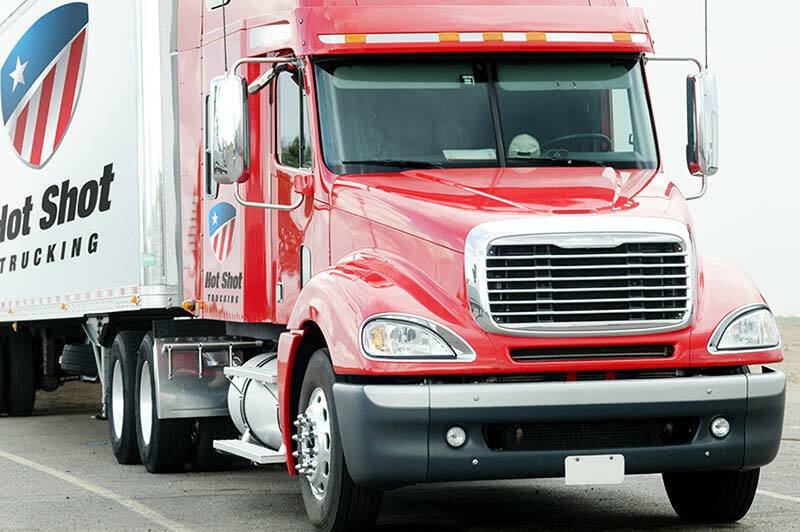 To further reduce wait times, we offer dedicated deliveries, meaning that we reserve a truck specifically for you and load any specialized equipment that your items need. Through these and other benefits, we ensure rapid and reliable service throughout the year. For a free quote on Hot Shot Trucking services in the Augusta area and beyond, contact us today at (678) 288-5005.